Sundance Docs: Where’s My Roy Cohn? The world is a big place, but as the largest democracy, the United States enjoys an outsized percentage of its political attention. And as 2019 seems certain to become only more turbulent, with a slow but steady drip of revelations from various investigations into the campaign actions and business dealings of President Donald Trump, that focus figures to intensify. The documentary Where’s My Roy Cohn? provides an illuminating look at the single most important and influential enabler of Trump’s rapacious ambitions – a man who practiced law not as a proving ground for ideals of justice, but an adversarial death sport. 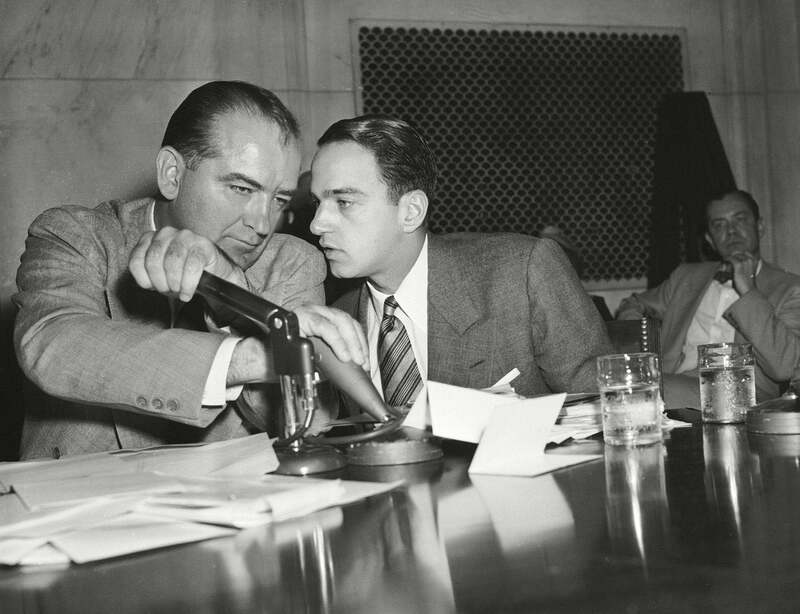 A pugnacious attorney who rose to prominence while still in his early 20s as a U.S. Department of Justice prosecutor at the espionage trial of Julius and Ethel Rosenberg, Roy Cohn would become most-enduringly known as the chief counsel for Wisconsin Senator Joseph McCarthy, and assisting with his aggressive investigations of suspected communists in the mid-1950s. A fascinating look at the hardball tactics, contradictions, and hypocrisies, and, yes, a collection of stuffed animals and tchotchkes of its singular subject, Where’s My Roy Cohn? uses skillfully edited archival interview footage along with extraordinarily insightful and candid new interviews with a variety of colleagues, family members and historians to sketch a troubling moral portrait of a man who would in the twilight of his career find, in Trump, a synthesized and eventually weaponized vessel for the darkest parts of the American id – deploying the same loathsome demagoguery, boastful flamboyance, eagerness for confrontation, and empty, self-serving appeals to phony patriotism. 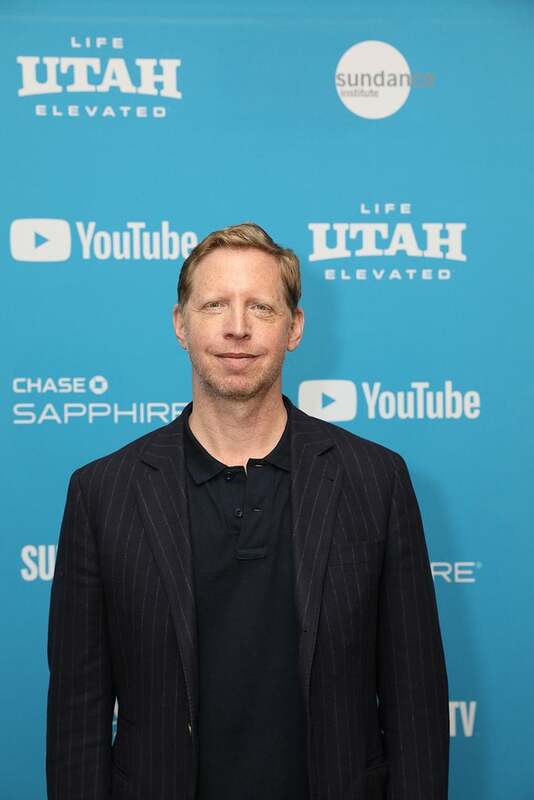 Director Matt Tyrnauer at Sundance 2019. Director Matt Tyrnauer’s work (Valentino: The Last Emperor, Scotty and Secret History of Hollywood, and Studio 54) has a critically lauded history of exploring the gay community and lifestyle, especially during eras in which many felt compelled to live in closeted fashion, drawing a line between their public and private lives and denying their homosexuality. This is certainly a big part of Where’s My Roy Cohn? too. It was present as early as the 1954 Army-McCarthy hearings when Cohn’s personal relationship with G. David Schine became the focus of the Army’s pushback against allegations of communist infiltration. But it would also, according to some of Cohn’s own cousins, inform his obsessive drive for power and fame. By never acknowledging his homosexuality, and in fact helping to sometimes harm that marginalized community in various ways, Cohn consciously separated and elevated himself, feeding only his own ego. Tyrnauer’s film unfolds in a mostly straightforward chronological fashion but avoids any sense of lethargy that structure might impose by virtue of its colorful subject’s unnerving watch-ability, yes, but also its director’s location of the strongest through-lines in Cohn’s life. Additionally, Tyrnauer utilizes music in a smart way, complementing composer Lorne Balfe’s engaging score with Maurice Ravel “Bolero” in a dizzying, concise segment which charts the arc of Cohn’s latter-day rise in the New York City power corridor. Disgraced after the McCarthy hearings, Cohn would find his second act representing leaders of the Genovese crime family during a federal racketeering investigation, and it was this work that drew the attention of a then-young Donald Trump, who at the time was being sued by the United States government, along with his father, for denying housing to African-Americans. The pair’s professional relationship and subsequent friendship, in the steady, non-inflammatory presentation of Tyrnauer and co-editors Andrea Lewis and Tom Maroney, feels like the passing of a diseased baton. In one passage, Cohn shows off what he says is one of his prized possessions – a framed photo and handwritten thank-you note from Trump. Later in the film, when one interviewee describes Cohn as a wrecking ball of selfish instincts but also the product of uniquely American circumstances and exploitable belief systems, it’s a moment of heartbreaking truth. Another terrible through-line is revealed, sending a slight chill up a viewer’s spine.